Welcome to August in Indiana which means it’s Indiana State Fair time! And as I’ve mentioned in the past, I’m a very “Fair” person (haven’t missed since I was 6 years old!). If you’re in the Indy area you ought to swing by one day/night. It’s a great event! AHP’s (Association Health Plans), Drug pricing, ACA risk adjustment payments, Navigator funds, MLR, etc continue under discussion and are in various stages of change/implementation as we speak. 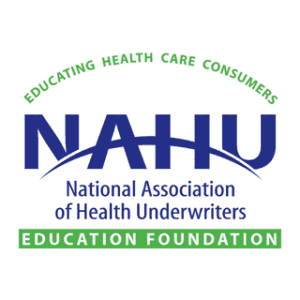 In addition, Repeal of the HIT tax and the Excise/Cadillac tax, allowance of COBRA as creditable coverage, changes to Medicare Advantage plans and other initiatives are in the forefront of NAHU’s efforts in D.C.
Be sure to visit www.nahu.orgfor more detailed information on all NAHU Federal legislative activities. A preliminary meeting has taken place with Indiana House Insurance Committee Chair – Martin Carbaugh regarding Section 1332. Meetings are still in process of being set with other appropriate leaders in the Indiana House and Senate to discuss next steps on promoting Section 1332 . The discussions will relate to the possible use of “risk pool” Federal and State funds to encourage more competition from a payer and plan standpoint. Use of non-compliant ACA product offerings is also a possibility. All new guidance from D.C. will be a part of discussions. Any updates on such discussions will continue to be shared. Meetings on Section 1332 have taken place with the Insurance Commissioner and next steps will be with Insurance committee heads to promote possible exemption filing by the Governor in the next Session. Updates will be provided. ISAHU State Convention. If you did not attend, you missed out on a fantastic opportunity! As mentioned last month, the Fall election season is in full swing. I encourage each of you to get involved at some level with both State and Federal office candidates. Let’s be a part of the solutions that are needed. If you’d like more information on how to go about this, please feel welcome to reach out at any time. NAHU staff continue to be a vital part of ongoing discussions during this 115thCongress. Details are provided in the Washington Updates each Friday. Please be sure to read them which will assist you in responding to your client’s issues. 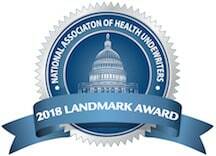 And I ask you to remember to thank the countless NAHU members around IN and the Country as a whole that continuously put in long hours to ensure the best information possible is being shared with Legislators, HHS, CMS, IRS, DOL, DOI’s and of course other NAHU members. As you know, much of this is always done in anonymity and solely for the benefit of the Association, our members and the general public. Ongoing simple message – IF you are not participating in both PAC’s – HUPAC – our Federal PAC and ISAHU-PAC – our State PAC, then PLEASE do so! Both PAC’s help support activities that really do make a difference in the ongoing legislative battles. Information can be found on the www.HUPAC.org, www.nahu.org and the www.ISAHU.org sites.